132 years ago today, a baby was born in France named Gabrielle Boheur Chanel. She was later given the name Coco when she sang in Paris nightclubs. 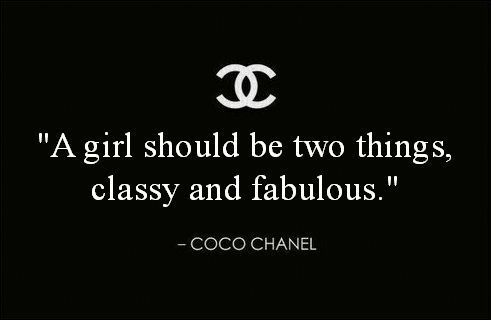 Coco Chanel was credited with liberating women from the constraints of the corseted silhouette and popularizing a sportive, casual chic as the feminine standard of style in the post-World War I era. 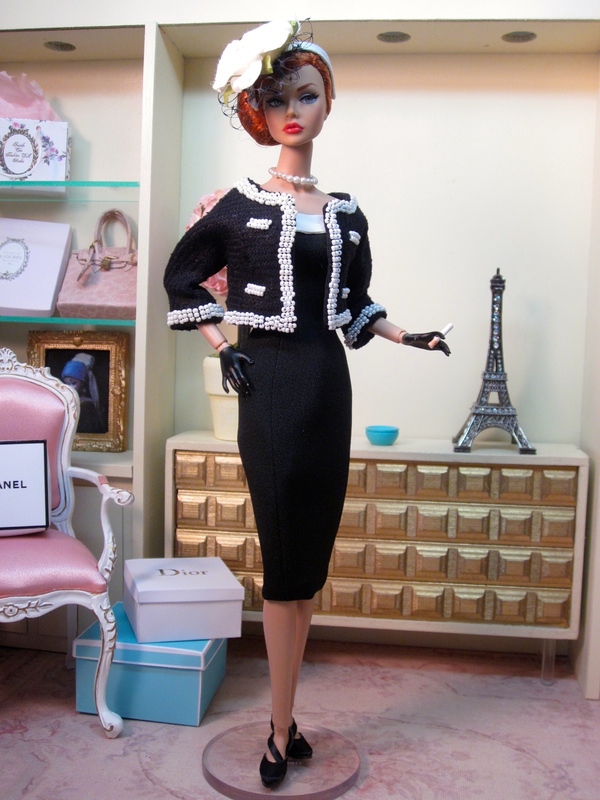 This fashion honors Coco by incorporating three of her signature looks: the boxy suit jacket, the little black dress, and the white camellia. 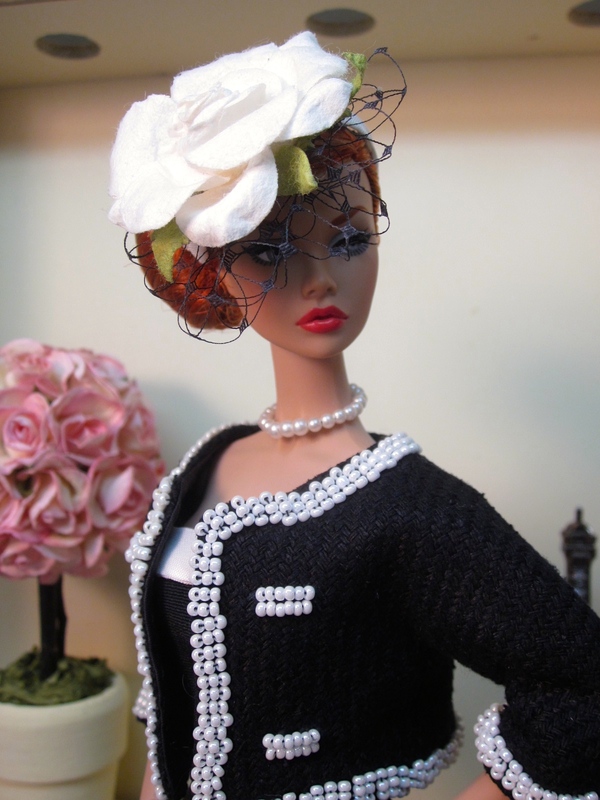 The black and white color scheme and use of pearls are also part of her signature style. The slim, strapless sheath dress is made from black silk crepe and is decorated with a simple band of white silk at the bodice. The accompanying jacket is made from black textured raw silk and has the traditional boxy shape and bracelet length sleeves characteristic of Chanel style. 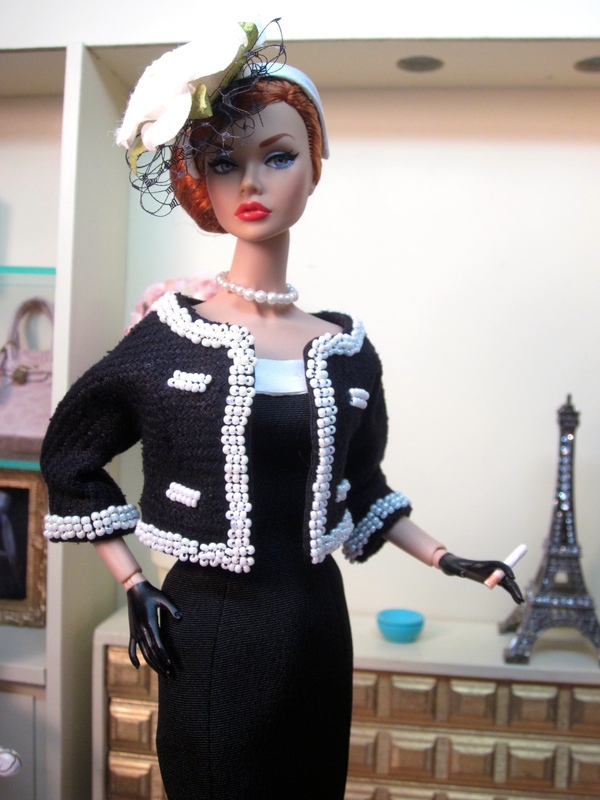 Every edge of the jacket is hand beaded in tiny pearls, as well as the traditional double slash pockets. 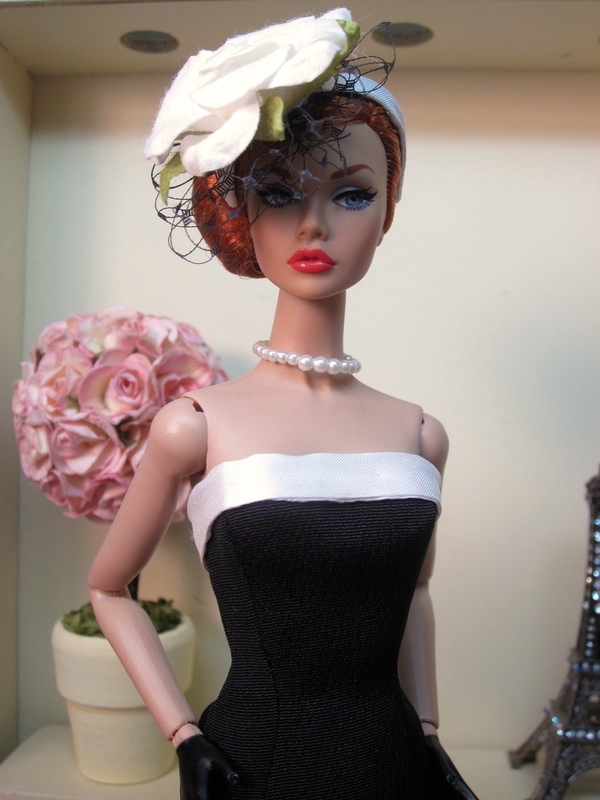 An extravagant fascinator style hat features the white camellia with a pouf of black millinery netting. This fashion is a real one of a kind and will not be made again in this manifestation. 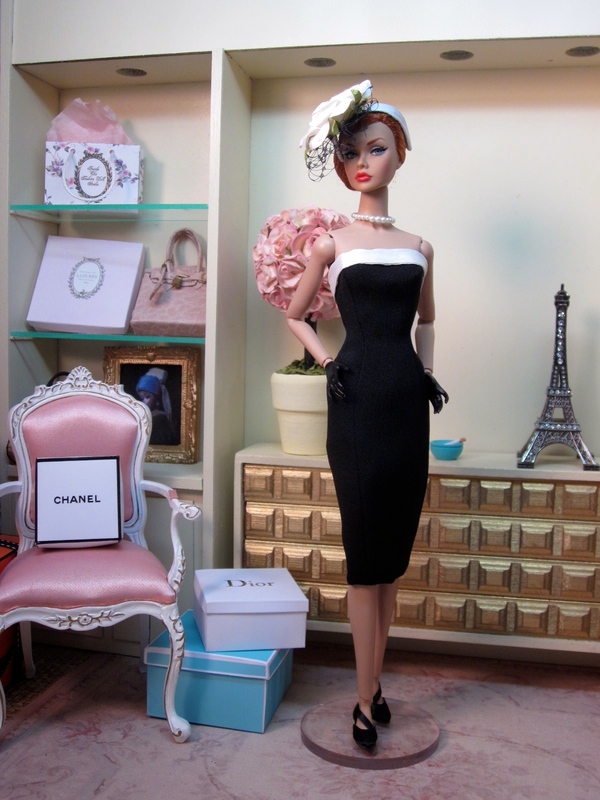 This fashion fits Silkstone Barbie and Poppy Parker.